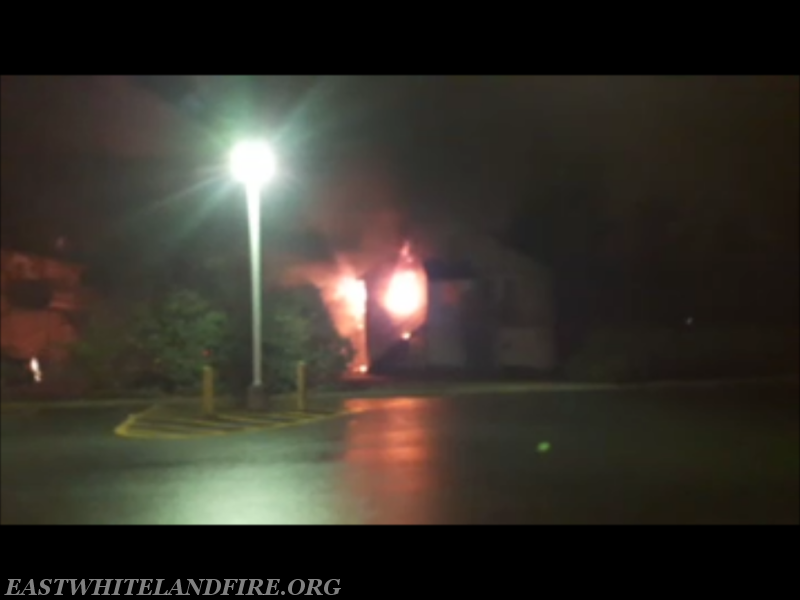 The East Whiteland Fire Company was alerted to a building fire at 9:33 PM Saturday evening. 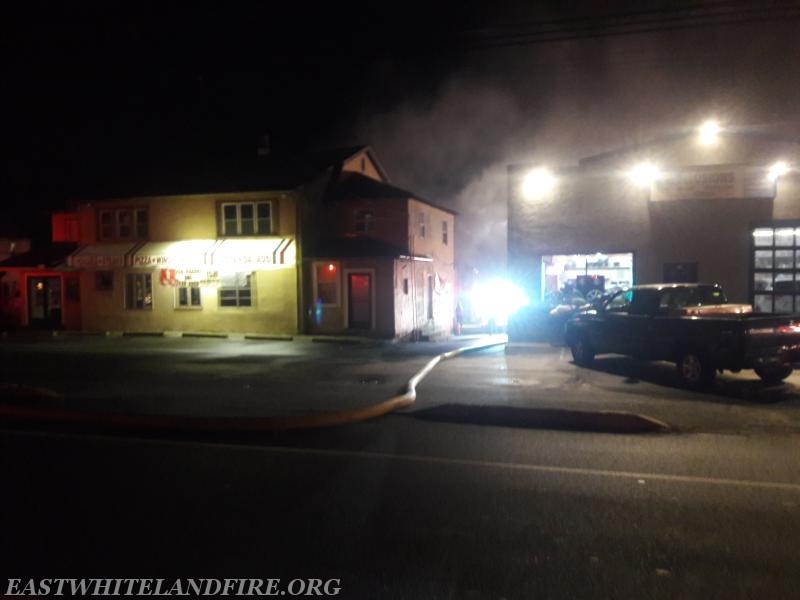 An apartment over a garage behind Osman's Pizza, located at 577 Lancaster Avenue at the corner of Route 30 and Planebrook Road in East Whiteland Township. Fire police first on the scene confirmed the building was not occupied and provided traffic control for arriving apparatus. 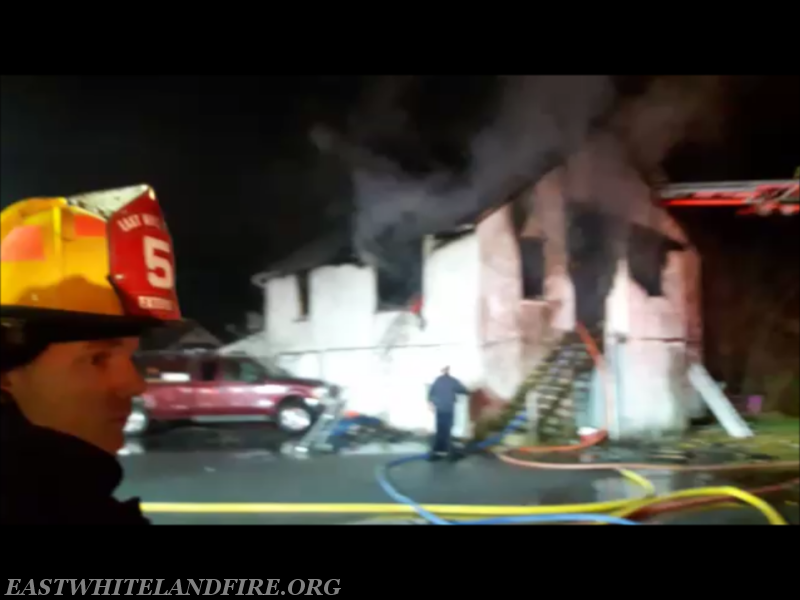 East Whiteland Fire Company Lieutenant Dan Sheridan arrived and initiated command, advising a working fire. Engine 5-1 arrived while providing a supply line from the nearest hydrant. 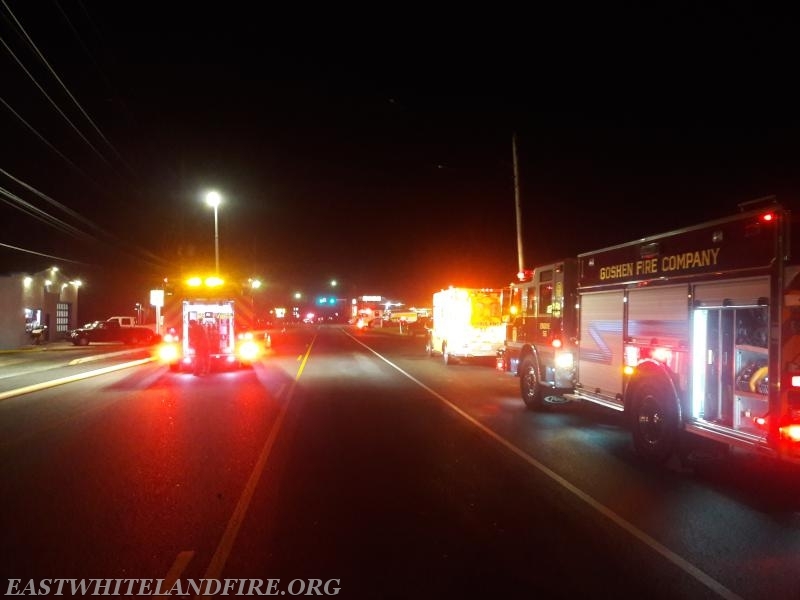 East Whiteland Ambulance 5-2, Engine 5-2, Engine 5-5, Squad 5, along with Malvern Fire Company, Goshen Fire Company, Berwyn Fire Company and West Chester Goodwill with Air/Light 52 were all on the scene. East Whiteland Township Police were on location. Malvern and Goshen Fire Police assisted with traffic control. 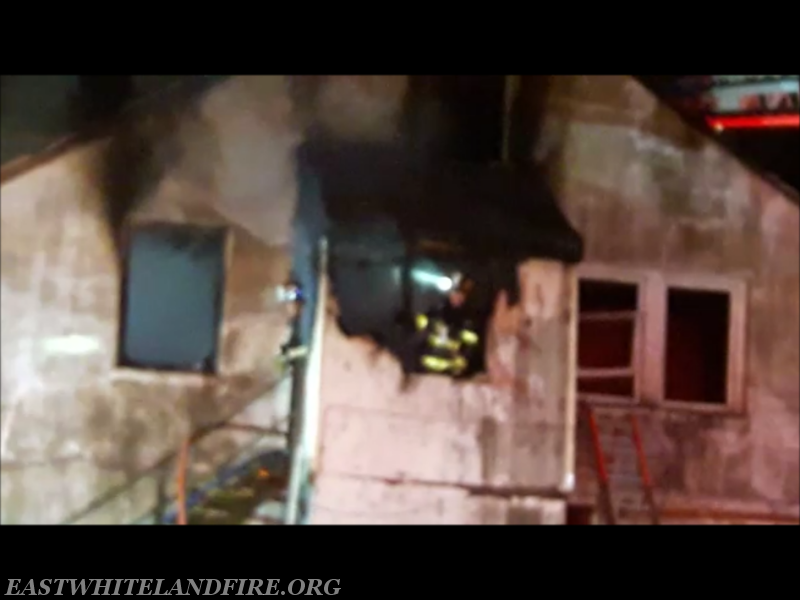 Thanks to the assisting companies. 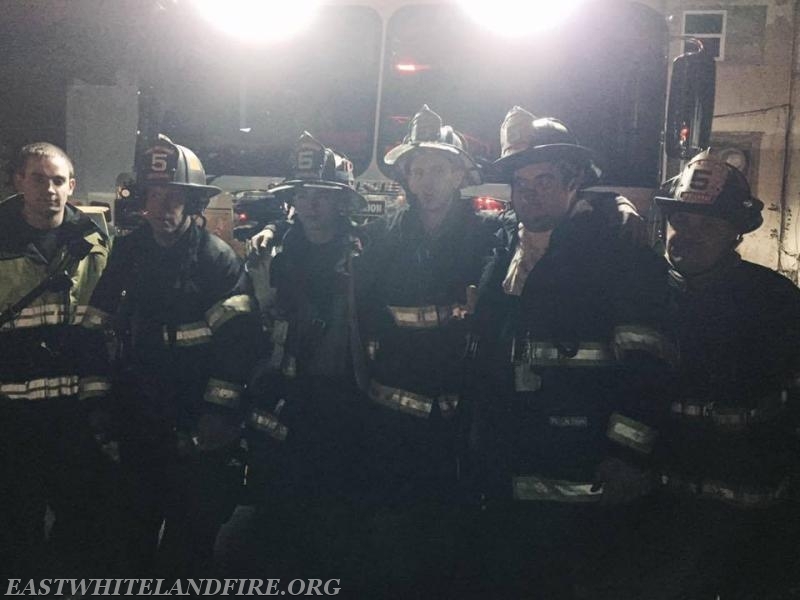 East Whiteland Fire Company primary attack crew on this call (L to R): FF Lieutenant Dan Sheridan, Career FF Brian Hughes, FF Paul "Tripp" Brown, FF Kyle O'Brien, FF EMS Lieutenant Quintin Lotz, and FF Lieutenant John DeMarco.